Gus's World Famous Fried Chicken Opens December 8th in Maplewood. Unless you’ve been living under a rock for much of the last year, you know that Gus’s World Famous Fried Chicken (7434 Manchester Road, Maplewood; 314-899-9899) opens today in Maplewood. But even if you have been under that rock, chances are you’ve been subsisting off fried chicken. Never mind the classics, like Hodak’s, Porter’s or Frank & Helen’s Pizzeria — beginning with the opening of Old Standard last October the town’s chicken coop has become increasingly crowded with a new flock of restaurants dedicated to the Southern-style fried bird. With so many great homegrown options, why would anyone bother with the St. Louis outpost of a Memphis chicken chain? We’d make that argument if this were any other fried chicken restaurant. Legendary Gus’s, however, is giving us pause. Here are five reasons why we are excited about Gus’s, even as we debate the merits of yet another fried chicken restaurant in our deep-fried market. 1. Gus’s is a legitimate, old-school friend chicken joint, not a corporate hack. In 1953, Napoleon “Na” Bonner and his wife Maggie opened the soul food restaurant that would become Gus’s in Mason, Tennessee. It was called “Maggie’s Short Orders." The restaurant has changed names, moved locations and expanded its business, but it remains a family affair passed down generation to generation. Na and Maggie’s daughter-in-law Gertrude still serves as the restaurant’s matriarch, which is now owned by her son and his wife, Terry and Anne. Gus’s chicken remains the same as when their grandfather developed it, and only five people currently know the recipe — all of them family. 2. 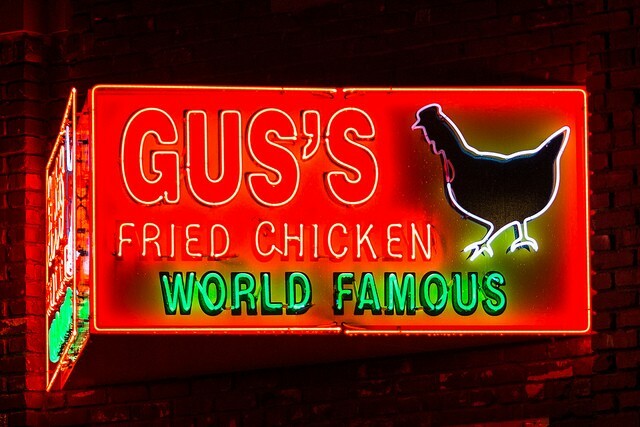 Gus’s is considered by many to be the best fried chicken in the world. In 2001, GQ Magazine listed Gus’s as one of the five places in the country worth hopping on a plane for a meal. Bon Appetit readers placed it on the top five list of “best fried chicken ever” and Gus’s consistently wins local awards for top fried chicken honors. There’s no denying that a great deal of hype surrounds the humble chicken joint, but consistent accolades show that there is a legitimate reason for Gus’s success. 3. Gus’s patrons love its chicken so much, they've paid to rebuild the restaurant — twice. Maggies’ Short Orders proved so popular that it outgrew its original digs in 1973. Locals in Mason were so eager to get their hands on more chicken that they raised money for the Bonners to expand into a much larger space. When that location burned down in 2002, a local architect designed a new building for the Bonners free of charge, while a construction company donated supplies and labor. 4. We freak out about Memphis barbecue around here, so we should probably check out its chicken. It’s funny that for such a proud food town, St. Louis takes its barbecue cue from our neighbor to the south. From Pappy’s to Bogart’s, Memphis style barbecue put St. Louis smokehouses on the map. If we have that much love for its smoked meats, we can only imagine how good they are battered and deep-fried. 5. Because really, there is never enough fried chicken. Old Standard is lightly seasoned and pressure-fried. 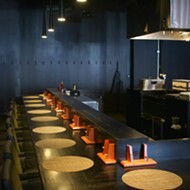 Southern is all about Nashville-style hot chili fire. Byrd & Barrel has a thick, slightly sweet coating. Saying there is too much fried chicken is like saying there are too many colors in the rainbow. Each version is so unique and special, we'd argue it's like eating a different dish every time. Or so we tell our cardiologist.